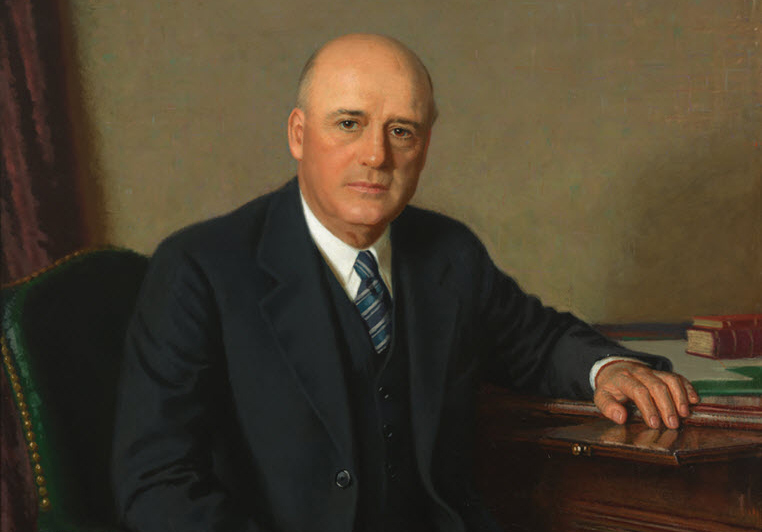 In a 48 year career as a Congressman from Bonham, Texas, seventeen of which he served as Speaker of the House, Sam Rayburn’s proudest accomplishment was passing the Rural Electrification Act. Rayburn was an outspoken supporter of President Franklin D. Roosevelt’s New Deal, shepherding the Securities Act of 1933, the Securities Exchange Act of 1934, the Federal Communications Act of 1934, and the Public Utilities Act of 1935 through Congress. Even while acting as a national leader, Rayburn made sure to stay in touch with his rural Texas roots through his constituents, many of whom were farmers. As a farmer himself, Rayburn knew what electric power might mean to his state's "unwilling servants of the washtub and water pump." He pushed rural electrification for them and for the common people of America. 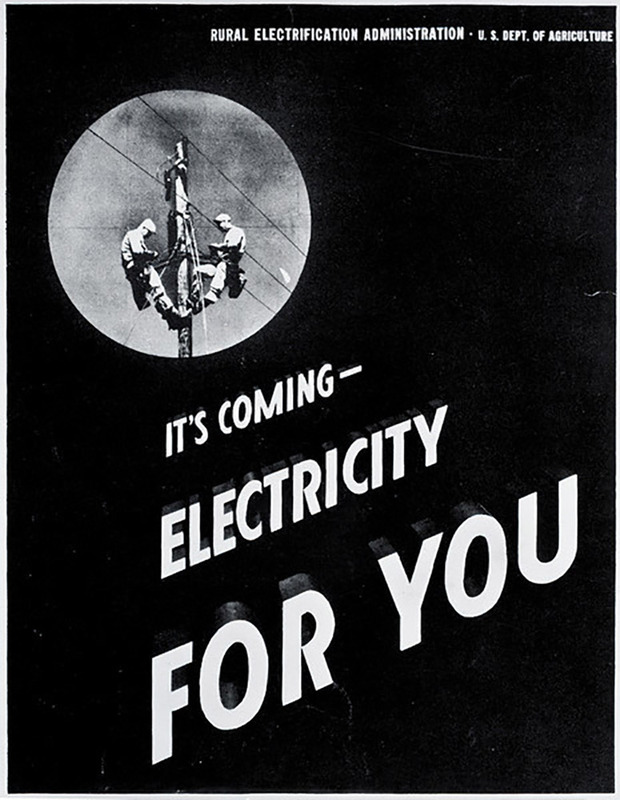 The drive to electrify farms and ranches began on May 11, 1935, when President Roosevelt issued an Executive Order creating the Rural Electrification Administration under the Public Works Administration. By January 1936, however, the Roosevelt administration and key legislators had grown unhappy with the progress on rural electrification. They decided to change the focus of the program from work relief to a government lending program for member-owned electric cooperatives. Senator George Norris of Nebraska introduced a bill for that purpose in the Senate. In the House, the bill was originally destined for sponsorship by another congressman, but Sam Rayburn, knowing the bill needed a powerful sponsor to fend off utility company opposition, convinced the House Parliamentarian to give the bill to him. 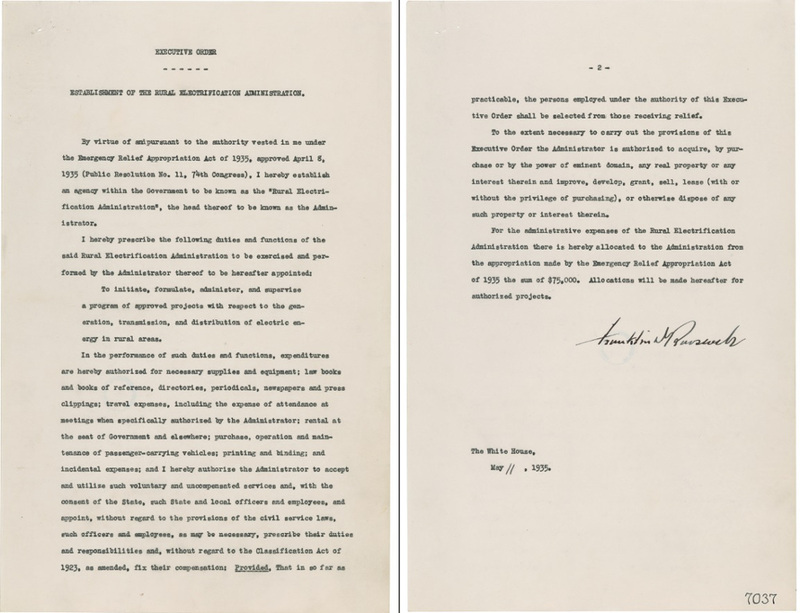 The Norris-Rayburn Act established the Rural Electrification Administration (REA) as an independent government agency. The REA promised to loan money to build electric power distribution to rural areas. Controversy arose over whether private utilities would have access to the loans. Senator Norris was adamant that they would not, and the bill passed the Senate with a prohibition against loans to private enterprise. Rayburn, facing extreme opposition from House members and the utility lobby, was willing to compromise and allowed some loans to private enterprise. The House bill was amended to allow that feature. 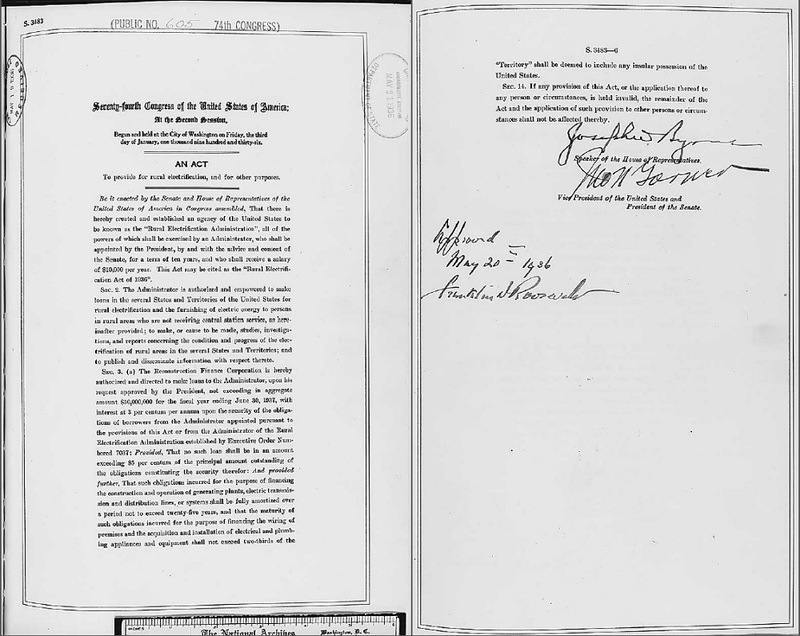 In conference, Rayburn skillfully convinced Norris to compromise, allowing loans to private utilities, but with a preference for publicly-owned utilities.The Norris-Rayburn Act became the Rural Electrification Act of 1936. Rayburn’s files are filled with correspondence with cooperative boards and REA administrators that he worked with over the next several years to help Texans obtain electric power. His later career would involve several electric power projects, such as the Denison Dam and Lake Texoma. By 1959, Rayburn proudly stated that ninety percent of farm homes in the U.S. were electrified, compared to three percent in the early 1930s. 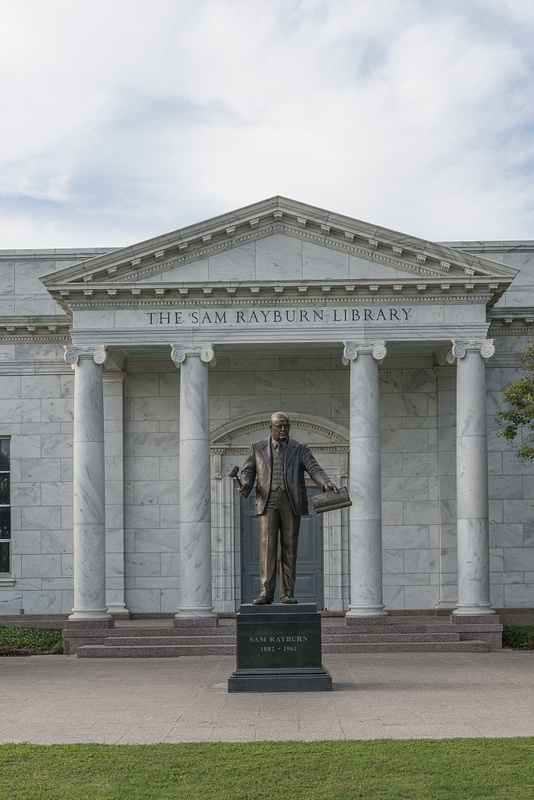 When Rayburn died in 1961, rural electric cooperatives lauded him as “our good friend and strongest champion.” Sam Rayburn proudly brought his people out of the dark. 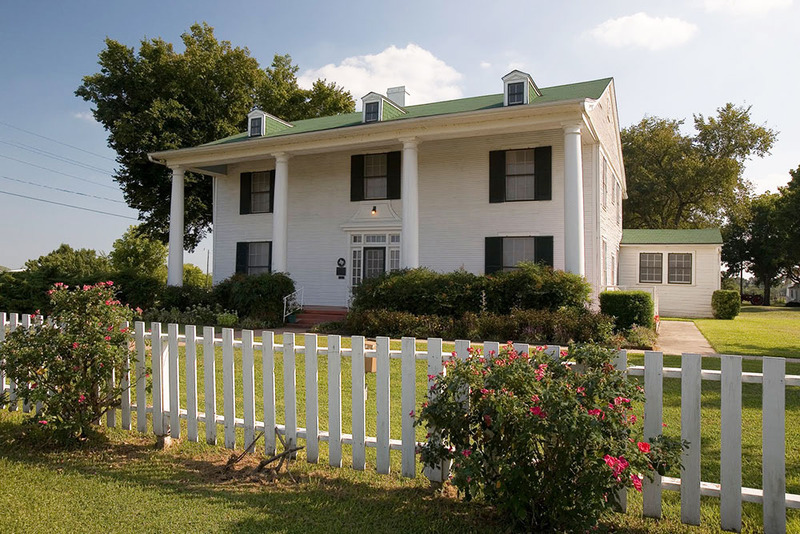 The Sam Rayburn House State Historic Site, Bonham, Texas: Congressman Sam Rayburn built this house in 1916 as part of his 121 acre farm. Like other rural farms, the house had no electricity. In 1935, Rayburn paid to have a mile of electric line strung from town to the house. It was the only mile of power line serving the rural portions of Fannin County until after the Rural Electrification Act. 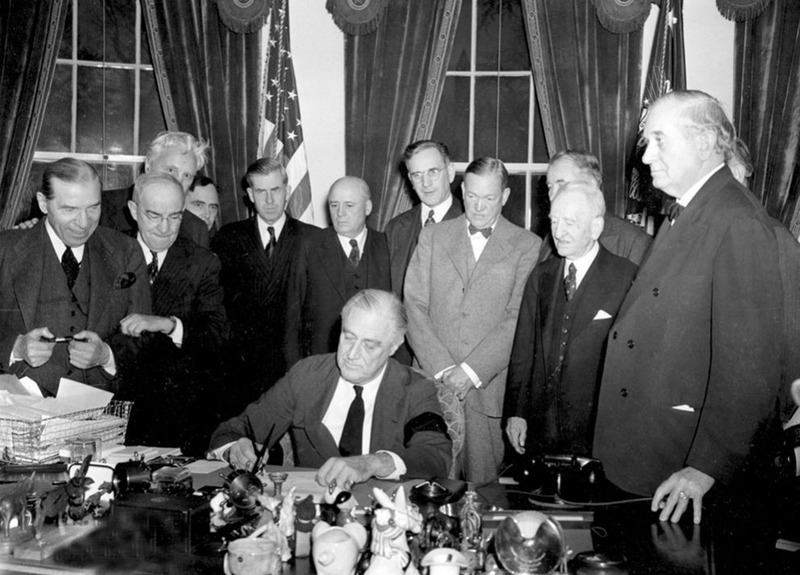 Franklin Roosevelt signs the declaration of war against Japan after the Pearl Harbor attack on December 7, 1941: Speaker Sam Rayburn is fifth person from the left in the middle of the picture. Paul E. Anderson, “Sam Rayburn and Rural Electrification,” East Texas History, accessed April 21, 2019, https://easttexashistory.org/items/show/73.